The fall season is my favorite time of the year–football season is in full swing, trees are changing colors and leaves are falling, and we take an opportunity to spend time with family and friends over Thanksgiving. Being able to stuff ourselves on delicious food doesn’t hurt either. But in all seriousness, while we should be expressing gratitude on a daily basis, Thanksgiving does bring the reminder to take a step back and be thankful for all the blessings that we have in our lives. It is also a great opportunity to give back and do something for those that are not as fortunate. This year we have made a more concerted effort to do both throughout the year, and as I share this latest dividend income report, I wanted to pause and say thank you to each and every one of you for taking time out of your day to stop by and be a part of the community here. That is something that I cherish a great deal. Mr. Market continued to take swings to the upside and downside throughout November and there were quite a few buying opportunities presented to DGI investors as a result. However, regardless of the price swings, one thing that remained steady was the inflow of dividend payments. The month of November brought in a solid $500.15 in dividends! While I love to see this kind of growth, computing the YoY growth is not entirely accurate at this point because I did not begin a focused effort to invest in dividend stocks until earlier this year. Therefore, while 193% growth is impressive, it does not paint an entirely accurate picture. However, one thing that is quite impressive is that the growth in the ABBV dividend from 2017 to 2018 is entirely based off of reinvested dividends and dividend raises. That is approximately 55% growth year-over-year! Overall, the reinvested dividends have added an additional $20.61 in projected annual dividend income! That is by far my largest month yet in terms of PADI generated solely by reinvested dividends, and is my second double-digit month of the year (with the other being in August). While November did not come close to the ridiculous amount of capital that I was able to deploy in October, I was able to invest an additional $4,888.87 of new capital into the portfolio. There were 6 transactions (the one missing from above was my purchase of VYM in my Vanguard account) across 3 different companies and one ETF. Overall, these purchases boosted my projected annual dividend income by $191.30 and have me knocking on the door of my revised goal of $5,500 for next year (excluding my index funds). Looking back at the dividend income report from last month, it is interesting to note that while I invested approximately $3,000 less in capital I nearly matched the increase in PADI–and this is because the positions purchased this month have a higher dividend yield than those bought last month. The month of November delivered a respectable three companies that raised their dividend with two of them being a solid double-digit raise! AbbVie got the month rolling with a 11.46% raise followed by Snap-on delivering a robust 15.85% increase! The last raise for the month was delivered by Disney with a more modest 4.76% raise. These three raises combined have resulted in an increase of $69.35 in projected annual dividend income. Similar to the reinvested dividends, this is the highest increase that I have received purely from dividend raises! Looking forward, I am anticipating dividend raises in December from Abbott, Franklin Resources, and AT&T. In some years that list would include Disney, as they typically declare their raise in the last week of November or first week of December, and this year it was the former. I am not expecting much from Abbott or AT&T; however, Franklin Resources has had a solid double-digit raise for the last 5 years so it would be great to see something above 10%. As I mentioned in the opening, I have a lot to be grateful for this year and one of those things is to be blessed with a well-paying job that provides for my family and allows me to invest this kind of money on a monthly basis. While I didn’t set any new records this month–at least not when including those long-standing index funds, however excluding index funds this is a new record from investments started this year as a DGI investor–I am extremely happy with my results in November. 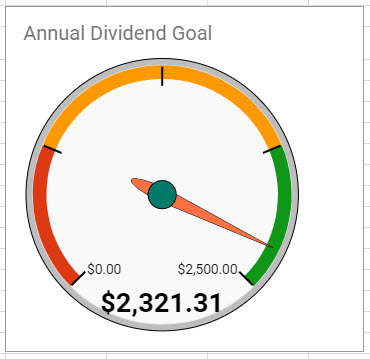 The dividend tripod–reinvested dividends, dividend raises, and new capital investments–added a very respectable $281.26 in PADI during the month of November. That brings me to a total of $5,296.09 in PADI and leaves me $203.91 from my revised goal. If I can obtain the right prices for a couple of purchases, I believe the three legs of the dividend tripod will deliver me to success. As an example of the power of DGI investing, consider that the $89.96 in PADI received from reinvested dividends and dividend raises would require approximately $2,760 of capital invested at my portfolio’s average yield of 3.26%! Pretty darn nice if you ask me! Last but not least, checking in on my goal to receive $2,500 in dividend payments in 2018 we see that the $500.15 received in November has pushed me up to $2,321.31 in total. That leaves $178.69 needed to reach my goal. At the end of October I still expected it to be pretty tight on reaching this goal, however now I know that I will not only meet this goal but will exceed it by a modest amount. The month of December is shaping up to be rather impressive, due in large part to those index funds that will pay out before the end of the year. However, even looking only at my brokerage account and the REIT ETF that I built in my IRA, the last month of the year looks like it will be quite nice. It feels like it has been a blur since I began this DGI journey and now we are approaching the new year. I’m pleased with the growth of my dividend portfolio in the month of November and I am focusing in on finding the right buying opportunities over the next few weeks to close the year strong. Congratulations for reaching a 500 $ month! I haven’t achieved that yet, but hopefully I can do it next year. I think 5 000 $ is a incredible amount of new capital invested and those are really solid buys. Also have XOM and TGT in my own portfolio. Thanks DD, and looking at your latest report I see you’re getting awfully close so I think you can do it next year! Appreciate the feedback and glad to see we have some common holdings too! huge amount of growth from sooo many new companies. Those dividend raises look really nice! I definitely liked the raises this past month. It is always nice to have a couple of double digit raises as those really turbo-charge things! What a boost in forward annual dividend! This is impressive. Congrats. Thanks Alex, I was definitely happy with the end results! Need to keep those dollars employed and working for me! Thanks BI, and I am glad that you like that too as that was something that was really eye-opening to me with the DGI strategy. Over time you reach a point, and some are already there or just about there, where the dividend raises and reinvested dividends are far surpassing what you can invest on your own. It is truly amazing! Wow. You’ve got it all working here. You are poised to pass a couple of goals, including one that was upwardly revised. Outstanding. I love the boost to your PADI from those raises, too. That ABBV dividend income increase is eye-popping all by itself. Keep up that new capital investment you’re doing and 2019 will be massive for you. Agreed that we have lots to be thankful for. Have a terrific holiday season, and let’s finish 2018 on a strong note. Thanks ED! The increase in ABBV was surprising to me too but with the raises that they have dished out this year it makes sense, but it didn’t really hit home until seeing it side by side. Hope you have a great fantastic holiday season too, and here is to all sending this year out with our best effort! Wow, DivvyDad! $281 in added dividend income for the month of November. That’s a solid month. $204 to go on the PADI. You got this! Thanks Kody, I was pretty sure that I could get to $200 but was really thrilled being able to get that up closer to $300. Appreciate the encouragement! 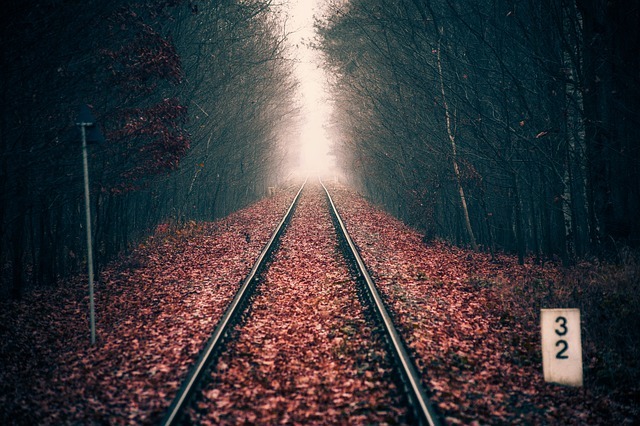 Amazing job in November. Even if it is your first year, $500 in November is huge (it happens to be a weak month on my end). If you can keep this pace, you’ll be rocking four figures in no time! Thanks Ryan, oddly enough the middle month of the quarter has been my most solid so far but the quarter ending months are quickly catching up. I will definitely be doing my best to keep this pace, or even pick it up if possible with any raises / bonuses from work. I am looking forward to reaching those four figure months on a consistent basis, and the challenge / hard work of building up to that point! You had the Trifecta pumping this month, that’s for sure! Also – that’s a solid growth rate YoY… do it again in 2019, my friend. Congrats on the div increases, that’s some serious momentum there. As the great Barney Stinson would say, “Challenge accepted!” I will definitely be pushing myself to not only do it again next year, but to do even better. I know it gets harder as the account value goes up, but I like to shoot for the stars. And now I will toss a challenge your way–since you were just a little ahead of me with about $535 this month, this time next year how about we donate something like $25 each (or whatever amount) to the charity of choice from whichever one of us has a higher November 2019. Sound interesting? Those are some pretty outstanding dividends there Pops. The increase in ABBV alone is impressive. Over %50 increase without even having to invest additional funds into it. I just recently purchased a decent size of this company. Looking forward to reaping the dividends. You will most definately exceed your annual dividend income goals sir. I’m sure by now you’ve already passed that $2,500 with the dividends you recieved since the beginning of January. Keep up the awesome job, I look forward to December’s update. Thanks Dr. D, I was surprised with that increase as well and goes to show just how great dividend raises and dividend reinvestment can be to grow that snowball. Outside of Apple, Abbott, and AbbVie, I didn’t create the rest of my portfolio until the end of May this year so I haven’t quite hit that $2,500 yet (but will before the end of the month). The December update should be great when including my index fund payouts! $500 in passive income is solid by any measure. Looks like you created a who’s who of passive income payers. We share quite a few names and I like seeing your REITs in your retirement account. I do the same. Keep buying, building and stacking those dividends. Looks forward to your 2018 totals! Thanks Keith, it has been a whirlwind building this portfolio but I am pretty happy with the collection of companies that I’ve established. I definitely prefer holding the REITs in a retirement account, and had to shuffle some things around to have some capital there to buy the ones I wanted. Buy, build, and stack–that is the motto! Your progress never ceases to amaze me DD. The amount of capital you wield, the choices you make everything makes sense and you are well aware of the trifecta. Keep chugging’ along my friend, I’m excited to see what 2019 will bring! Thanks Mr. R, that means a lot and I appreciate the feedback. I am trying to do the best that I can, and will keep pushing as hard as possible! Good job and $500.00 in dividends is an impressive feat. Looks like we share at least 5 companies this month. Keep it up. Thanks Doug! Always nice to see shared companies among others in the DGI community!